The Southern Africa Stainless Steel Development Association (Sassda) is an industry organisation that provides a platform for the members of Sassda to collectively promote growth and development of Stainless Steel converted in South Africa.The association offers a comprehensive advice service which covers all aspects of the stainless steel industry including fabrication, material selection, material and product sourcing, properties, corrosion resistance, design advice, material identification and failure analysis. This is supported by a technical reference library containing reports and articles on corrosion resisting alloys. All technical enquires are logged and analysed and the results used to determine the content of technical seminars. These seminars cover different aspects of stainless steel fabrication, conversion and use and frequently incorporate papers by local and internationally acknowledged experts. 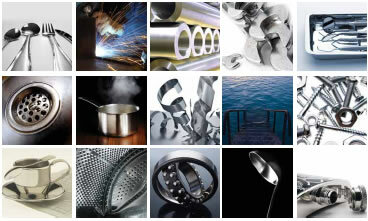 Sassda provides monthly basic and advanced stainless steel courses for any interested parties. This service is free to members and their clients provided that the time required to service the enquiry does not exceed half a day. A charge may be negotiated to cover costs if the the time required does exceed this. To keep abreast of international development and technology, Sassda maintains links with both national and international technical institutions such as the South African Bureau of Standards (SABS), Mintek, SAIW, The Nickel Development Institute (NiDI) and The International Chromium Development Association (ICDA).